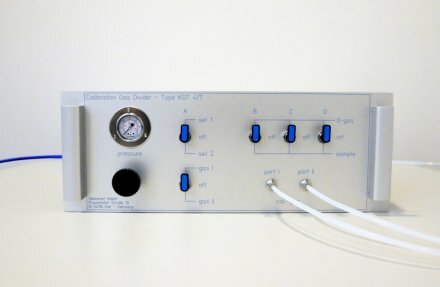 The Odournet gas divider is a dilution system that allows the very precise and reproducible generation of different reference standard gas concentrations from just one standard reference gas. It is used for the multi-point (and multi-scale) calibration of analysers and sensors, such as flame ionisation detectors (FIDs), and is supplied with an ISO 17025 certificate. The equipment uses a gas jet pump (Venturi pump) to dilute the gas, and the dosage of the reference gas is controlled using orifice plates. Both single-stage and two-stage performance is possible, enabling significant cost savings thanks to reference gas reductions. And, for complete flexibility, we can even customise the gas divider too, to make absolutely sure that you receive a product that meets your exact requirements. For more information please visit the Gas Divider product page.